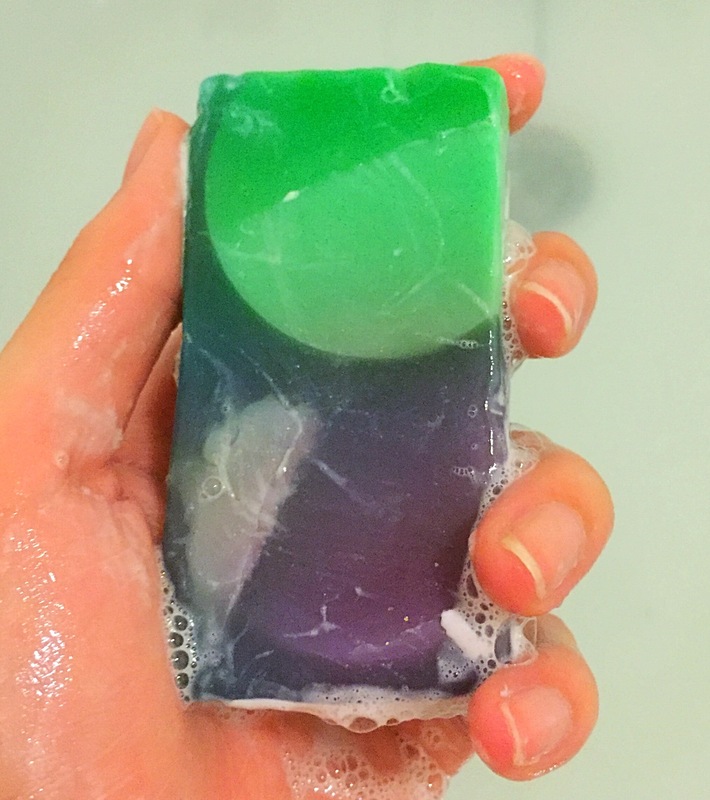 When it come to soap I never really seem to be a fan, they just don’t seem to excite me as much as the other products that lush have to offer. But every now and then I come across a soap that I really enjoy using and the Baked Alaska soap is one of these such soaps. Released as part of the Christmas range, this soap is named after and also designed to look a little like the yummy Baked Alaska pudding. What first draw me to this soap was it array of bright colours! One thing I really do love about the soaps from lush is when you see them in store before they have been cut into smaller pieces, that they always look very impressive! 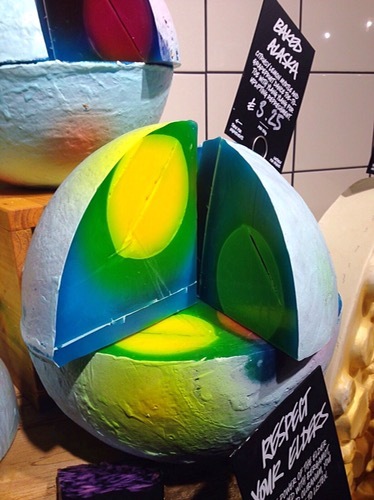 So much thought is put into them and lush really do make a statement soap. 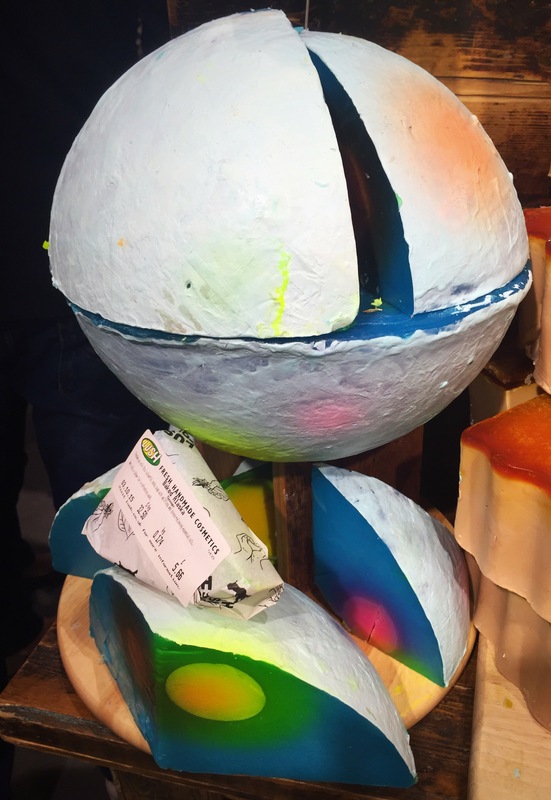 The Baked Alaska soap contains a mixture of blues, pinks, yellows and greens with an outer covering of white, making this soap look like a giant snowball and defiantly looking good enough to eat! After how pretty this soap is, I was then won over by its wonderful scent. Although I do love a good old Christmas scent, it is refreshing to find that lush release there products in a range of scents at Christmas time. Containing lemon myrtle oil, ylang ylang oil and grapefruit oil the Baked Alaska soap is a very refreshing and crisp citrus scent. I found the aroma of this soap to be very strong and not only did it leave a lovely scent on my skin it also filled the bathroom with its scent even when not in use. The main reason why I tend to not like soap all that much is that I usually find it to be very drying on the skin. However although I wouldn’t say that this soap is particular moisturising, it didn’t dry my skin out as much as I was exspecting. I found the soap lathered very well and found a 100g bar lasted rather well. Overall I really enjoyed this soap and am hoping it will make an appearance again this Christmas! What soap would you recommend I try next? Ingredients – Water, Glycerine, Rapeseed Oil and Coconut Oil, Sorbitol, Perfume, Lemon Myrtle Oil, Ylang Ylang Oil, Grapefruit Oil, Titanium Dioxide, Gardenia Extract, Sodium Chloride, EDTA, Tetrasodium Etidronate, Sodium Hydroxide, Citral, Geraniol, Limonene, Linalool, Hydroxycitronellal, Methyl Ionone, Colour 45350, Colour 42090, Colour 45410, Colour 17200, Colour 14700.